Is 2018 when you up sticks and relocate to the country? The press and social media are awash with stories focusing on lifestyle and body changes, what you should or should not be eating or what exercise you ought to taking. Back on the diet? Check. Back to the gym? Tick. Could now be the time for the ultimate transformation, where you live? Is 2018 when you up sticks and relocate to the country? 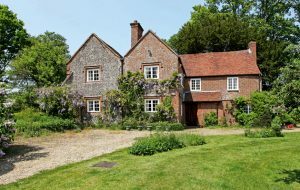 Forget the doom and gloom of stalling London house prices that punctuated the back end of 2017, the new spring market has brought with it a new wave of optimism and statistics that show the South East, places like Surrey and Hampshire are on the wish list for many. If you have the urge to move to the countryside, driven either by children, space and schooling or just because you are tired of city life, then you are not alone. 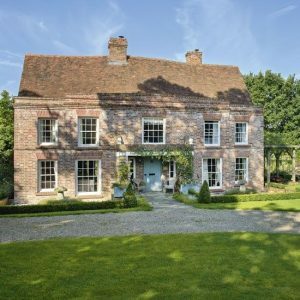 According to the latest statistics by Hamptons and data analysts LonRes quoted this weekend in The Sunday Times, 42% of prime vendors (about 2,000 households) bought outside London, up from 33% in 2013. The greatest proportions of these 48% of the prime leavers, moved to the South East. Annual net migration out of London has more than doubled in the five years to 93,000 – a post-recession peak, according to the Office of National Statistics. We’ve mentioned before that the gap between what you can sell your London home for and buy in the commutable parts of the Home Counties are starting to narrow, and this certainly proves true as London house prices cool. 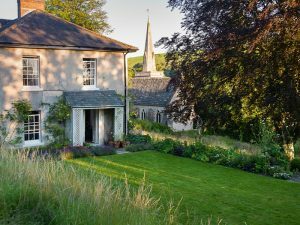 However, it is not to late to swap a two flat for a four bedroomed house or a four bedroomed terrace house in London for large country house, with a couple of acres and sweeping driveway. In fact, with house prices re adjusting in London, some of the top end houses in Surrey have been tempering their asking prices, to accommodate the new wave of London buyers sensitive to the change in their buying power. If you are thinking about moving out, one of the most important first steps is to work out where you want to move to. You’d be amazed at how time consuming this part of the decision is. If you have children or one or both of you commute, these two factors alone can mean hours of research to find an area that you like, and that meets both of these needs. Don’t feel the pressure of finding the right house; in the perfect location on your own, help is at hand. We offer friendly, professional advice on all aspects of your move, from which are the best towns and villages, to the best independent and state schools options in each area. Our access to the off market properties and those being discretely marketed allows you to be one step ahead of your competition for the best houses in Surrey, Hampshire and West Sussex, while our experience and knowledge of the area will guarantee you end up in the right place for you and your family.